This page is for the original release. 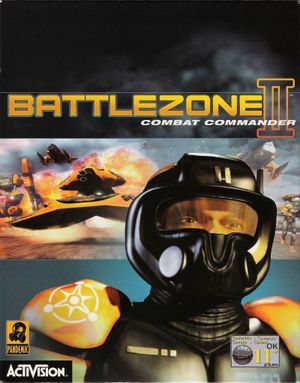 For the remake, see Battlezone: Combat Commander. 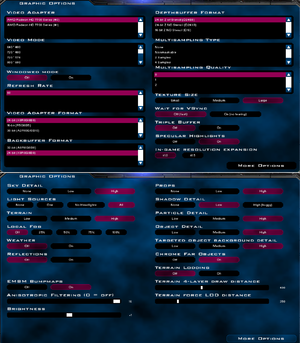 An unofficial 1.3 patch was on offer at this link (2006), but the download links were pulled in March 2018. A mirror of the last version of the 1.3 patch, a beta release of version 1.3.7.2, is available here. Patch v1.2 (august 2000. The last official patch) was out in 2000 ( downloadable here). Patch v1.1 (february 2000) fixed the (broken) multiplayer feature. Can be toggled by pressing Alt+↵ Enter. See Windowed. Default windowed resolution is 640x480, but it can be edited in a config file. Change WindowedWidth = and WindowedHeight = to the resolution you want. Press Alt+↵ Enter in-game to switch to windowed mode. Original launcher for the installer is written in 16bits, which means it's impossible to use it on 64-bit operating systems. Right click on your DVD drive and choose Open. Go into the Setup folder and launch Setup.exe.